The David Bowie exhibition, “David Bowie Is,” currently running at London's Victoria & Albert, is headed to Toronto this fall. The Art Gallery Of Ontario (AGO) will host the event, which explores the creative processes of Bowie as a musical innovator and cultural icon across five decades. On display will be more than 300 objects from Bowie’s personal archive; among them are 60 stage-costumes including Ziggy Stardust bodysuits (1972) designed by Freddie Burretti, Kansai Yamamoto's flamboyant creations for the Aladdin Sane tour (1973) and the Union Jack coat designed by Bowie and Alexander McQueen for the Earthling album cover (1997). Personal items such as handwritten set lists and lyrics, as well as some of Bowie's own sketches, musical scores and diary entries will also be shown. 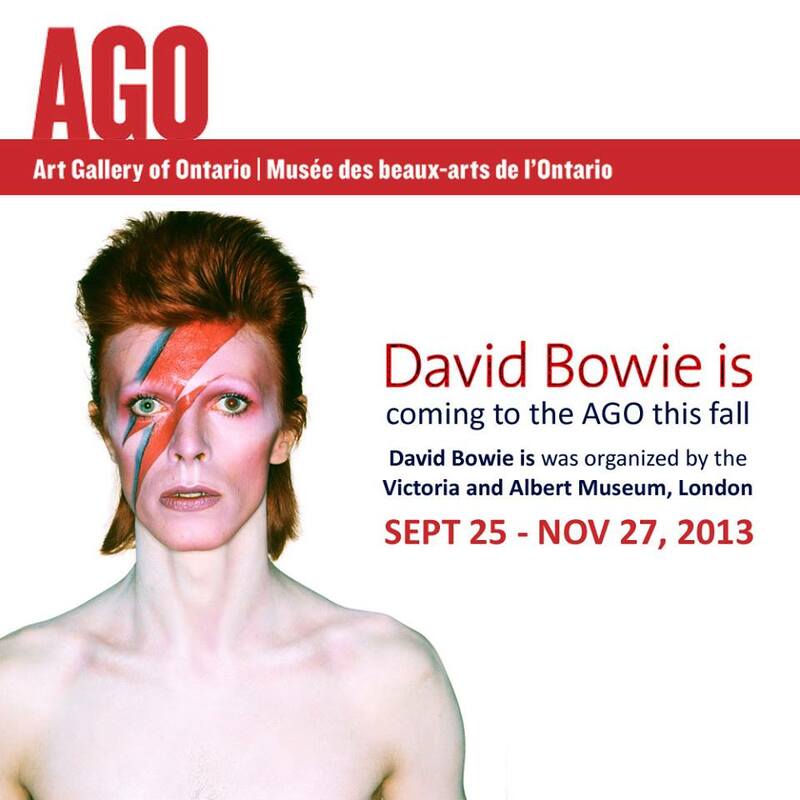 “David Bowie Is” will be hosted by the Art Gallery Of Ontario in Toronto between September 25 and November 27. Visit the AGO online to learn more here. The AGO is the exhibition’s first stop on its world tour; it’s debut run in London - which opened in March - wraps up August 11. Bowie’s latest album, “The Next Day,” landed the singer his first UK number 1 album in 20 years and also became the fastest selling UK album of 2013 to date.